Anna’s Hummingbird sitting in front of my kitchen window. 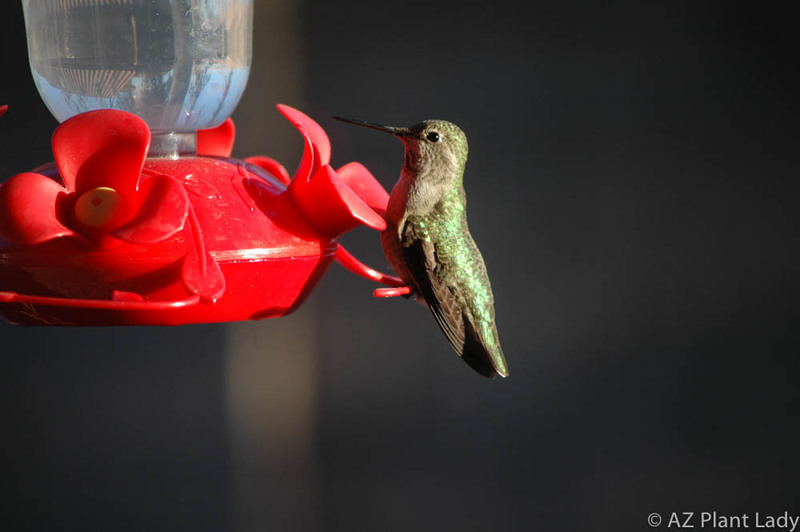 Hummingbirds are arguably the most popular birds in our gardens. It’s not unusual to find hummingbird feeders hanging, enticing these flying jewels to come and drink of the sweet sugar water. Of course, there are a large number of plants that promise to lure hummingbirds into your outdoor spaces as well so that you can sit and enjoy their antics. But, what if you don’t have much space for gardening or maybe you simply want to create a special place for hummingbirds to visit. 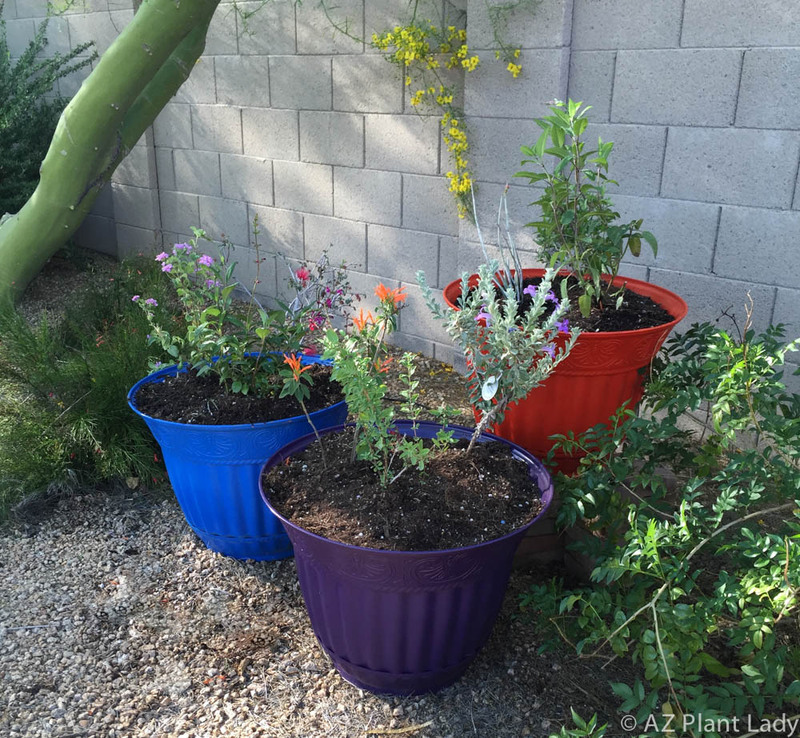 Well, a container hummingbird garden may be just the solution for you. I am very fortunate to have hummingbirds in my Arizona garden throughout the entire year. 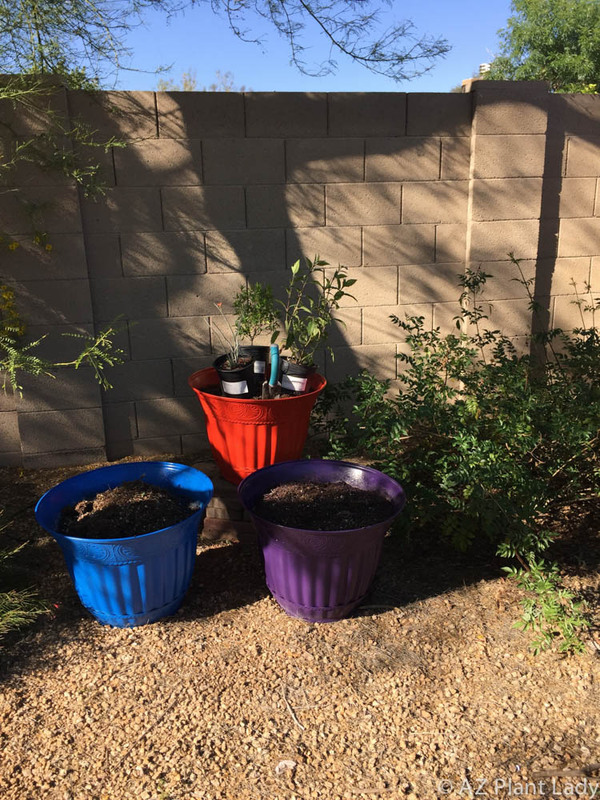 Early last year, I decided to create my own hummingbird haven in some old plastic pots. I gave them each a new coat of paint and got started. 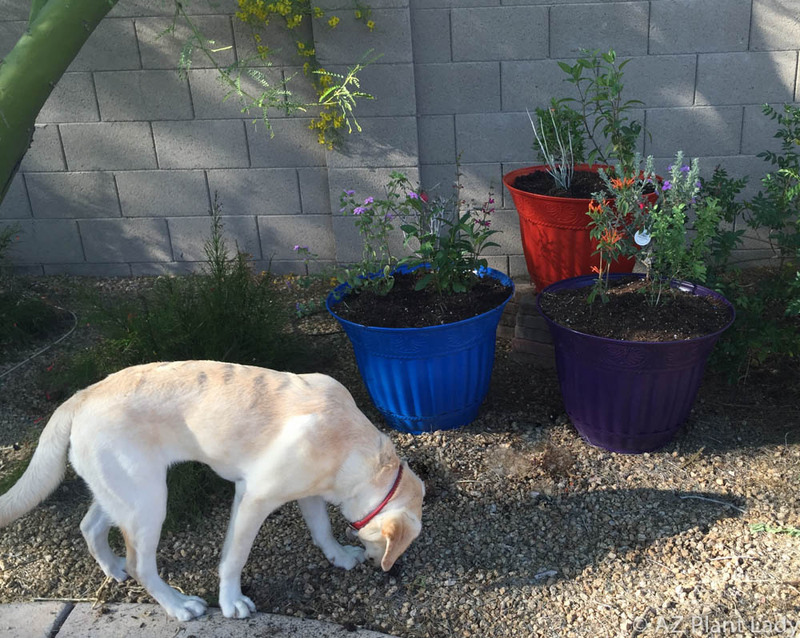 My son and dog, Polly, came out to help me add the new plants. At first, the plants looked rather small and straggly. But, I knew that it would only a matter of a few months and they would fill out and look great. It’s been about 20 months since I planted my hummingbird containers and I am treated to the view of these tiny birds sipping from the flowers with their long tongues. I created a short video to show people what my garden looks like now and how they can create their own hummingbird haven with only a container. I hope you enjoy it. 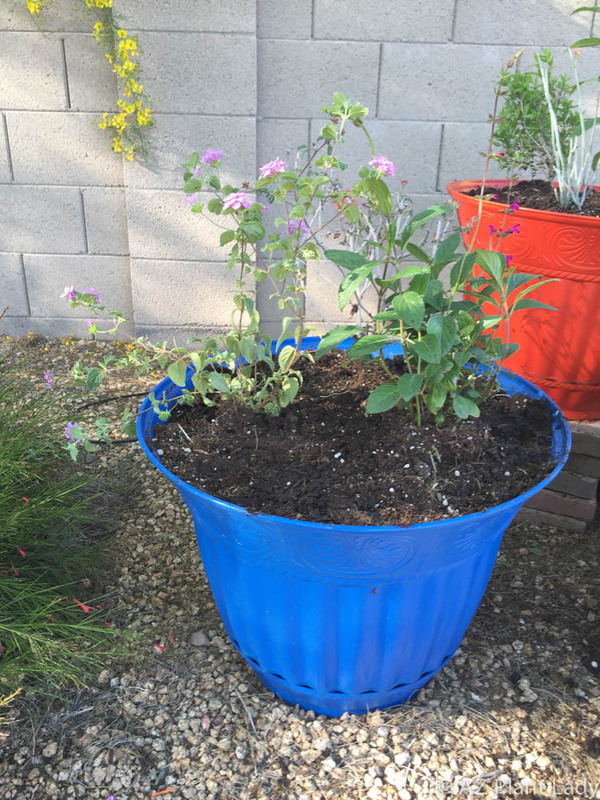 For a list of plants that I used in my containers, click here. **What are your favorite plants that you use to attract hummingbirds? Living near Palm Springs, I love the salvias. I didn't catch the names of a couple of your plants, so maybe I missed this? I'll go up to the Living Desert reserve and take a look up there. I would like to try the containers. I usually just stick the plants in my front yard. Here is a link where you can see the names of all the plants that I used. 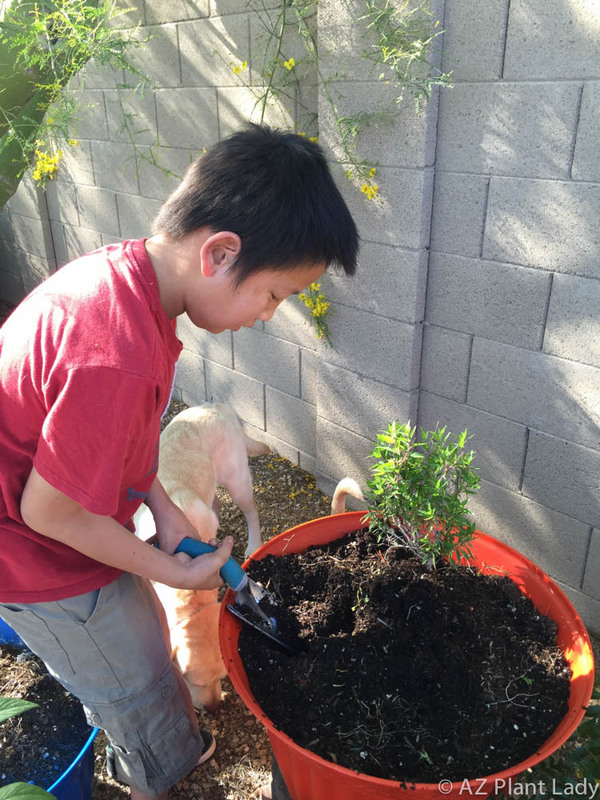 All should do well in your Palm Desert garden. Great post and little video.